The vape industry is already a billion dollar business and according to analysts, it could grow at a rate of around 20.8% over the next decade. If you’re considering opening a vape shop or you already own one, having wholesale vape products that your customer’s desire is a good way to guarantee return business. When looking for vape wholesale products to supply your vape shop with, you’ll want to make sure to include the latest products from a variety top manufacturers to appeal to a vast customer base. By 2025 the vape industry is projected to become a $61 billion dollar business, which means there are many distributors selling vape supplies wholesale. The following is a list of current top vape wholesale manufacturers who make quality products that are popular with consumers right now. · GeekVape – GeekVape offers competitive prices when compared to other manufacturers. They’re also known for making really good hardware. · VooPoo – VooPoo is a popular manufacturer who is well known for their high quality vape mods. · Vaporesso – Vaporesso is known for being an innovative brand. They offer quality products at low prices. · Wotofo – Within the last couple of years, Wotofo has been known for being one of the top brands in the industry that offers an excellent variety of quality products. · Vandy Vape – Vandy Vape specializes in making and selling vape mods, kits, and accessories. They are also known for offering quality products at affordable prices, when compared to other manufacturers. With new vape products being released weekly, it can be hard to stay up-to-date on top products. The following are a few top vape products that are available to buy wholesale. Vaporesso Luxe Nano Kit – This device features a a power range of 5W to 80W and includes a touch panel with IML design on a 1.3″ TFT color screen. It includes the Vaporesso Luxe Nano Mod and the SKRR-S Mini Tank with a 3.5ml capacity. Horizon Falcon King Tank – This is the latest item to be added to the Horizon Falcon family of tanks. It’s constructed of Pyrex glass and high-quality stainless steel, and it holds a total of 6ml of e-liquid. 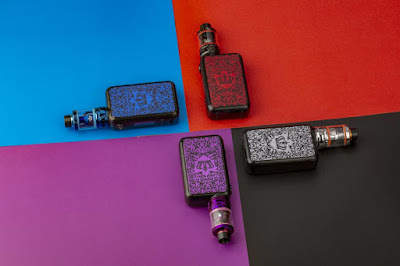 VOOPOO Drag 2 Kit – Unlike its predecessor, the Drag 2 is smaller, thinner, and weighs less. It has three settings which help to increase the battery life, accommodates all types of juices, and has an auto adjusting setting for the UFORCE tank. When looking for distributors to buy wholesale vape products from, the best place to start is by creating a list of distributors that offer the products you’re looking for. When conducting your search, it can be helpful to consider factors such as price and quality before ordering. Many wholesale vape distributors allow customers to purchase in bulk online directly from their website, so when you’re ready to order the process is easy and simple. Buying from the wholesale market is a great way for businesses to purchase the products they need at a lower cost. If you’re a business owner and you own a vape shop, there are hundreds of wholesale vape distribution companies in the U.S. alone to choose from, and it can feel like a daunting task trying to figure out which one is the best to go with for your business. When beginning your search it can be helpful to start by considering factors such as price and quality. Wholesale suppliers will usually set a specific price depending on the quantity you order. For example—hypothetically speaking—if you order 50 vape pens and the price is $1.50 per item, you could possibly order 100 vape pens and the price goes down to $1.00 per item. The more you buy, the cheaper it gets, so make sure you shop around for the best deal. 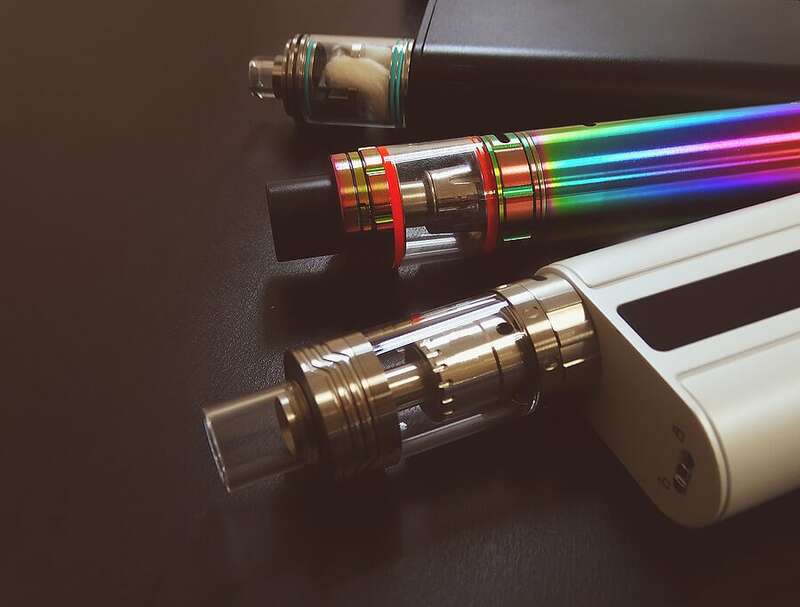 Other factors to consider before choosing a trusted vape wholesale supplier is if they have minimum order requirements, and whether the wholesale supplier can provide batch numbers and serial numbers to prove they’re selling you trustworthy and authentic products. · Shipping Policy – Check to see if the supplier you’re ordering from offers same day packing and shipping. Same day packing and shipping makes for quicker delivery, which is a benefit for customers because they get their products quicker. · Returns – Be sure to read a supplier’s return policy before ordering. Make sure they allow for items to be returned or exchanged if a product they deliver is defective. Also be sure to check how many days a supplier will allow a product to be returned. · Customer Service – Finding a supplier that offers good customer service can make doing business easy and convenient, especially if you receive an incorrect order/item or if you need to cancel or change an order. Vape mods are larger when compared to e-cigarettes or vape pens, and are popular because of their enhanced features. Mods were modified from the vape pen, hence its name. Vape mods have a longer battery life, but tend to be larger and are compatible with a wide range of tanks so they hold more e-liquid. · Top Manufacturers – Consider choosing a supplier that sells beginning to advanced vape mods from a variety of top manufacturers such as GeekVape, Vandy Vape, and VooPoo so you have a variety of products to choose from when ordering. · Pricing – Be sure to do some research to find wholesale suppliers that offer competitive prices on a variety of vape mods made by top manufacturers that are popular with customers today. · Quality – Try to find a supplier that sells a large selection of high quality vape mod products for a variety of budgets. Since the advent of e-cigarettes a.k.a. vapes, there have been numerous physical and online vape stores that sell retail and wholesale vape supply. And since online stores deliver the convenience of buying without the hassle of travel, they serve a bigger chunk of the vaping market. Unlike traditional cigarettes which require much simpler smoking tools, producing vapor is a more complicated process. Finding a reliable online vape store is not tedious but there are things to consider like the items (retail or wholesale vapor supply), location of the store (shipping time, price), and availability of materials. This list will help you find the best online vape stores suited for your needs. 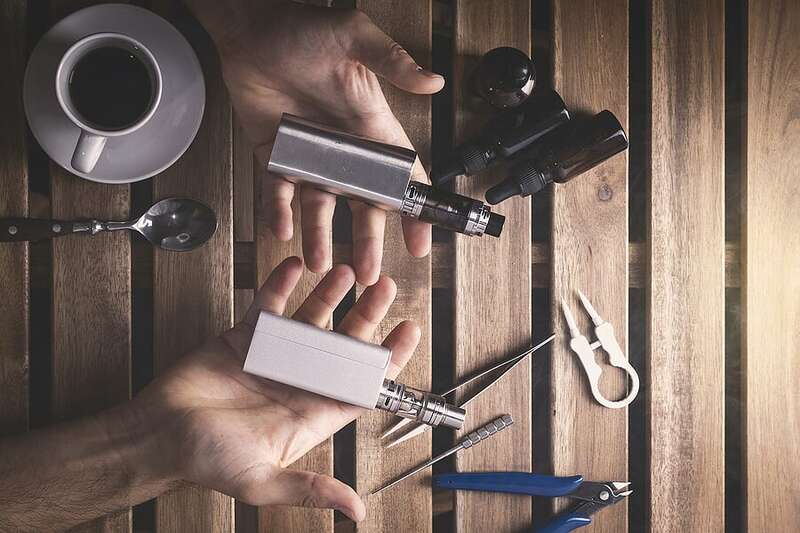 If you’re shopping for carrying cases, batteries, tanks, wholesale vapor e-juice, and other accessories or DIY parts, they must be compatible with your device, such as the size of the drip tip or the batteries being used. This reduces your research time and prevents you from returning incompatible items. Verified customer reviews and ratings don’t lie (most of the time). Reading reviews will give you an insight on how the online seller deals with customers and the quality of their products. Plus, it saves you the pain of buying from scammers. Wholesale vape supply stores serve more customers so they tend to have a greater number of reviews than retailers. Check for a variety of items. The best stores, both online or physical one, have the widest selection of items and they offer retail and wholesale vape supply for resellers and general consumers. The more items an online store has, the better. You can have all the accessories you need in one shop while you save on shipping fee—or if you buy more items, shipping is free. Forums are also great sources of information where customers share their buying experience, tips, and even discount codes. These are the platforms where customers can freely share anything and everything honestly about vaping. Examples are Reddit, Vaping Underground, and ECF. Compare online store items and prices. While it’s good to save on cheaper items, it’s better to save on items that have better quality because most of the time, you get what you pay for. You may buy a cheap item which may have to be replaced a few times a year when you can have one that lasts all-year long, maybe more, saving you money and time in having to place an order again and wait for the product’s arrival. Online stores that offer wholesale vape supply guarantee competitive prices than retail stores without compromising quality. Check for customer service information. Look for live chats, phone numbers, and valid email addresses indicated in the store’s website to verify that the online store is legitimate. Feel free to chat with them if you have questions. Look for returns policy and shipping information. The online store should have a clear returns policy if the product sent is damaged or with missing parts. Shipping information with the courier’s details should be present to estimate your product’s arrival. Following this list will save you time and money and will spare you the headache of buying poor-quality products. If you have questions or comments, please don’t hesitate to leave them below. Happy online shopping! Sourcing supplies that are of good quality with the right price is a factor in determining your vape shop’s success. After all, your customers will be your future influencers—they will spread the word about your shop, the availability of supplies, customer service, affordability, and so on. And as an entrepreneur, profit is a major consideration so you may want to buy your products from vape supplies wholesale dealers. 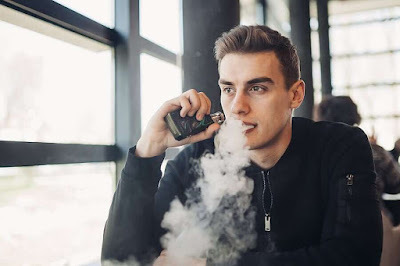 Buying retail vape products for personal use is one thing and obtaining vape supplies wholesale is another since competition is getting strict especially with online vape stores. These tips will help you in finding the best vape supplies wholesale dealers. Knowing what your customers want is the heart of every trade. From demographic data to economic status of your target market, having this data will set you apart from the competition. Then you can start searching for stores that offer vape supplies wholesale which can cater to your shop’s needs. This reduces stock piling up and having to go on sale because of slow-moving products. They will happily give you their money as you sell them products suitable for their preference because you know them. Aside from asking personally, this is also a good place to know your target market as these interactive platforms will allow everyone to communicate without restrictions. You may also receive and share tips with vape users and owners of vape stores, or even network with them—ask where they get their supplies, their experience about a store’s customer service, or product quality, etc. If you run out of a certain accessory, someone may know vape supplies wholesale stores nearby carrying it. Check for supplier reviews and ratings. Look for verified purchase reviews and ratings from customers. There is so much information in these sites about the quality of products they sell, the customer service experience, the efficiency of shipping and delivery, and the veracity of the wholesale supplier’s claims. These will guide you to the reliable vape suppliers, not to the unscrupulous ones. Weigh if you need to buy from a distributor or directly from a manufacturer. There are pros and cons to buying from each but choose whichever has greater benefits over risk. Distributors put a markup for each sale so their prices are definitely higher than manufacturers’ price. However, convenience should also be considered—there are more distributors than manufacturers, and not to mention, they are more accessible since manufacturing plants are usually not local. Rest assured, both offers vape supplies wholesale, so sourcing really depends on your preference. Don’t forget to take note of each supplier’s return policy for damaged/expired goods, shipping and handling, payment terms, customer service contact information, and rewards scheme, if applicable. You may also ask your potential sources about their clients whom you may contact to validate their claims as you compare each supplier’s pros and cons. Following these tips will help you in finding the best vape wholesale supplier who can help keep your business running smoothly. If you have more tips to share, please leave them in the comments section below. Are you searching for ways to boost your vape shops sales? If so, you’ve come to the right place! In this article, we will share with you several helpful tips you can use to increase the sales from your online wholesale vape supply shop. The first way to boost your vape shops sales is to show your employees training videos from the various brands that you represent. This will help them to become more knowledgeable about the products that your store sells and gives them the confidence they need to about your products with your customers. Another excellent way to boost the sales at your vape shop is to ask your vaping wholesale suppliers to come to your shop to conduct on-site product demonstrations. On-site product demos are commonplace at most wholesale chain stores around the world and it will be an excellent way for you to boost your shop sales while also better educating your customers and employees on how specific products work. If you have clients that purchase large orders from your online vape shop on a regular basis, one of the very best things that you should consider doing is assigning a personal shopper or “concierge” to their account. With this approach, you can essentially strengthen the relationship between your shop and your customers since their concierges will be able to ensure that large orders are handled efficiently while notifying customers of new products that they may be interested in trying. Besides the tips that we’ve offered you in this article, another great way to increase your vape shop’s sales is to start cross-promotional marketing in your local area. For example, you could contact local therapists who have clients that are trying to stop smoking to see if they would be interested in recommending your products. Remember that no “one size fits all” campaign ever works when it comes to marketing. You must focus on each customer individually because you will have some customers who are just getting started in vaping while others will be more experienced. Last of all, but equally as important, another great way to boost your vape shops sales is to review your current online marketing plan and take steps to improve on it. Website – Is your website optimized for SEO in your local area? Can any of your pages be found in organic search results? Business Profiles – Do you have business profiles on Google My Business, Facebook, Yelp, and other business websites for your customers to leave reviews? Online Marketing – Are you marketing your products online via Facebook Groups, Reddit, and other community pages? Email – Have you been collecting the email addresses from new customers and informing them of new products or specials in your store? Buying your e-juice in bulk can save you a lot of money. If you vape regularly using electronic cigarettes, it's just a matter of time before you will need to purchase more e-juice. Buying wholesale e-liquid is the more cost-effective option. It can save you a lot of money in the long run over paying retail prices for e-juice. Buying vape juice in bulk also cuts down on the number of times you have to drive to the store to buy your favorite flavors of e-juice. 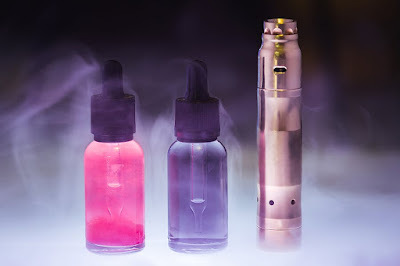 In many cases, for a few dollars more than what you pay for a small pack of e-juice at a retail stores, you can get many times the amount if you buy it wholesale. Some people may think they are only saving a dollar or two on each bottle of e-juice when they buy it wholesale. But if you vape on a regular basis, you can end up saving a significant amount of money each month. Over the course of a year the total amount you save could be in the hundreds of dollars. Buying wholesale e-liquid is clearly a money saving proposition. Not even the very rich would be willing to turn down a chance to save money or they won't be very rich for long. For the average person, the decision to take advantage of the opportunity to save a few dollars is an easy one. Otherwise you're just throwing money away. If you purchase quality vaping supplies in wholesale quantities, it's better than buying cheaper, lower, quality vape juice at small retail price. The quality of the flavor and the vaping experience you get when you buy good quality e-juice wholesale will far surpass the experience you get with the lower quality, cheaper e-juice. The average vape enthusiast would jump at the opportunity to buy vape juice at reduced prices when there is a sale at a retail store. That is the same opportunity that is offered when people get the chance to purchase e-juice wholesale. While it may cost a little more initially, it will deliver a significant savings over time. Most people that vape are always on the lookout for cheap vape juice. Often people will drive a little further and purchase a few more than they normally would when they find it. Purchasing e-liquid from a wholesale supplier is the same thing. Plus, not only will you be saving money, you will enjoy the convenience of having all the e-juice you want, whenever you want it. Taking advantage of the opportunity to purchase e-juice at wholesale prices is a no-brainer. You don't have to do higher mathematics to realize that there is a clear savings if you purchase your e-juice wholesale rather than retail. All it takes is an understanding of basic arithmetic to see that buying e-juice wholesale is a better deal financially than paying retail prices. For those of you who are new to vaping, you may be confused when you come across all the different atomizers that are available. However, the concepts are not that complex once you get to understand what they actually mean. 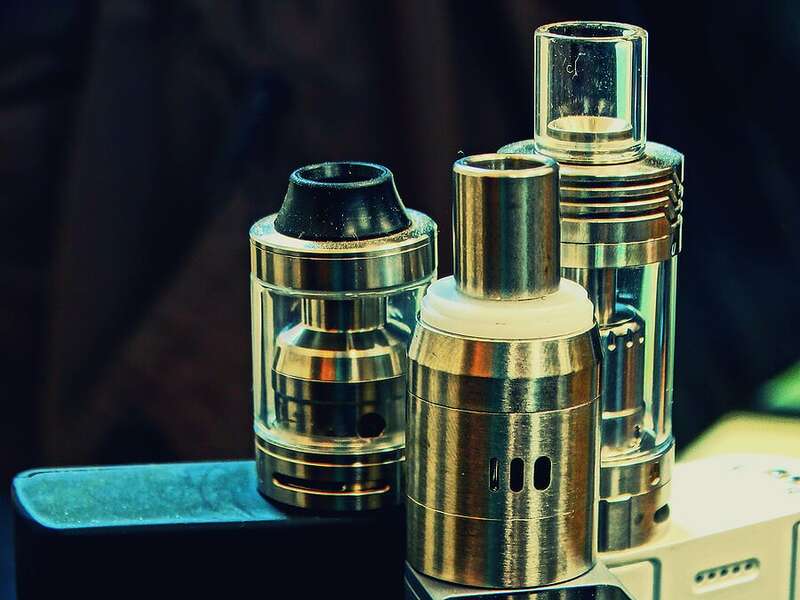 RBA is an abbreviation for Rebuildable Atomizer and the difference between RBA, RDA (rebuildable dripping atomizer), and RTA (rebuildable tank atomizer) are in their composition. To make it even simpler to understand, atomizers are a very important part of your vaping devices that do the actual work of vaporizing the e-juice when hot. Inside the atomizer are cotton wicking and coils that get hot to release the flavorful vapor. 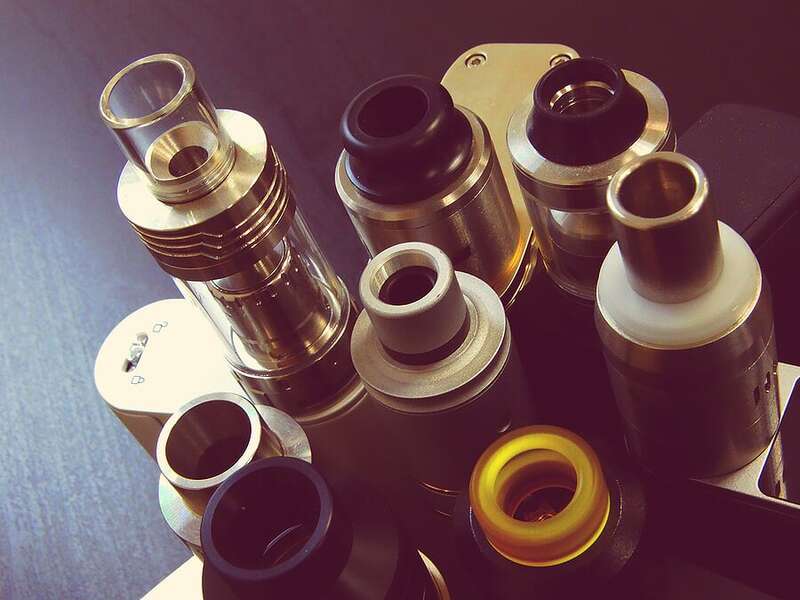 RDAs, as the name suggests, are specifically used when dripping. What happens is that when vaping, you don’t fill up the e-juice tank with your chosen liquid. Instead, you use small quantities by just dripping the liquid onto the heated coils. An outstanding feature of the RDAs is that they do not have e-juice tanks, which are replaced by a juice well, located below the build deck. The juice well holds the e-liquid drops and the wick tails need to be dipped inside to soak up the vape juice, usually a 10-drop capacity. Looking for a wholesale e liquid supplier? RTAs, when compared to RDAs, can hold more liquid, up to a few milliliters in capacity. The construction of the RTA actually has a juice tank and a build deck that allows you to set up your coils. Apart from these features, RTAs have a chimney that ensures the coils are not completely drowned in the e-juice when vaping. At the bottom of the build on an RTA, adjustable airflow slots are typical, improving the vaping experience. The disadvantage of this is that the vaping liquid might leak either from the mouth tip or air slots. This is the reason why you need to store your tank in an upright position. Which is the Best to Use? Between RDAs and RTAs, there is no telling the best one and you may just need to decide the one that works for you. As a pro, you would not have trouble setting up any of the two to enjoy your vaping sessions. However, most people suggest that RTAs are much more convenient and its flavor delivery is a plus. With the lack of storage tank and its small capacity, most people do not prefer RDAs. If you prefer simple vaping, RDAs would do! Why not consider having both for different experiences? The set up of these atomizers might be complex but it would not take you a lot of time before you become a master at assembling one for yourself. The vaping industry has seen a significant amount of growth in the past five years. In fact, the e-cigarette market is expected to gross over $44.6 billion by 2030. Many entrepreneurs and vaping enthusiasts are eager to take advantage of this rising popularity by starting their own stores. While there are many successful brick-and-mortar vaping shops, most people would be better off starting an online store. This method is lower-risk and requires less upfront investment. Online stores are also easier to organize. Here are a few tips for starting your own online vape store. Branding is the first step towards setting up your online vape shop. With other companies trying to sell vape supplies in wholesale and other products on the internet, it is impossible to stand out from the crowd without some proper branding. You have to choose a brand name, a logo, domain name, and website design. It is important to choose something unique that is relevant to the industry. The logo production and website design can all be outsourced to freelancers or third-party providers. You should try to find a website URL that is close to the name of your brand. Once you've created a virtual storefront and created a brand, it is time to decide what kind of vape products you want to sell. Some stores prefer to specialize in one product while others like to offer everything as a wholesale vape distributor. There are pros and cons to each business model. Here is a list of potential products that can be sold in your online vape store. Blogging is an effective way to generate traffic to your website and generate new leads. Other than searching for products to purchase, potential customers will be searching for articles related to the vaping industry. These articles could cover any related topic from the basics of vaping to the way this activity can help people quit smoking. The list of potential ideas is literally endless. Maintaining a weekly blog is a great way to keep people coming back to your website. This also increases the likelihood that visitors will purchase from your store. In order to keep orders flowing, you'll have to generate continued interest in your online vape store. Although returning customers are an important part of the business, generating new leads will be crucial to your success. This will require some marketing and advertising. Whether you're selling wholesale e liquid exclusively or an entire range of products, it is important to define your target audience. There's no point for a vaping supply store that sells e-juice in bulk to target people in grade school. After defining your target audience, it is time to settle on an advertising strategy that will place your products in front of as many people as possible. For years, Horizon has been releasing some of the best vaping tanks on the market. 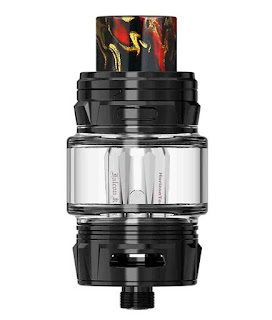 The latest addition to the family is the Horizon Falcon King Tank, defined by its style and price. Constructed from high quality stainless steel and Pyrex glass, the Horizon Falcon King Tank holds 6ml of e-liquid and is compatible with multiple coils. This tank should definitely be on the top of every vaping enthusiast’s shopping list! So what are the benefits you get when you use Horizon Falcon King Tank? Constructed from durable Pyrex glass and high-quality stainless steel, making it long-lasting and a great investment. It is compatible with the latest coils from Horizon: Both M1+ and M-Dual coils. These new mesh coils are made from bamboo fiber, which provides better flavor and lasts longer than conventional organic cotton coils. The Falcon King Tank is also compatible with all of the other Falcon coils. It features a new filling mechanism that makes refilling a fast and straightforward process. Airflow. Air enters the Falcon King Tank through the adjustable bottom which maximizes the intensity and flavor of the vapor. This helps deliver a fantastic vaping experience full of flavor and vapor production. Vaping enthusiasts will understand when we say there aren’t very many things that feel better than enjoying a few puffs on your favorite vape after a long day. KMG Imports offers a wide range of wholesale pod systems, devices, e-liquids, and accessories for your vape shop needs. One of the most popular box mods that have recently hit the market is the Famovape Magma Box Mod. Your first look at the device and it’s easy to see why—the packaging, features, function, and style breathe life into a new generation of devices. In case you’re a novice user, a mod is what you use to heat your e-liquid to produce vapor. Decorative finish and design give the Famovape Magma Box Mod superior appeal and a nice touch.